GCHQ has made a mass-scale graph database called Gaffer available for free on Github, a widely-used software repository. Written in Java, the code enables users to analyze relationships between different pieces of data. Some have welcomed the move, especially since it was developed using public money. Others are more skeptical of the agency’s intentions, however, and have refused to use the code as a matter of principle because of GCHQ’s mass surveillance programs. Gaffer is a graph database designed to work out connections between nodes of data. Some tech pundits speculate Gaffer could be used by GCHQ for analyzing data in order to find out who or what is at the center of a network. According to Andrii Degeler, a journalist at technology website Ars Technica, it is hard to know what purpose Gaffer might have within GCHQ. “Each node might be a surveilled terrorist or other source of data, and analysis of the graph might then show who or what is at the ‘center’ of that network,” Degeler wrote. “Perhaps there’s a clue in the name of the software, too: ‘Gaffer’ is British slang for ‘boss,’” he added. Data can be uploaded in bulk form or fed continuously to the database, making it ideal for analyzing who talks to who, or collating data about a single person. Gaffer is distributed under the Apache 2.0 license, a permissive free-software license that allows anyone to modify or distribute the database, so long as the original copyright notice and disclaimer are retained. Some coders have rejected the database out of principle, citing GCHQ’s history of spying on British citizens as revealed by NSA whistleblower Edward Snowden. “Stop spying on us,” wrote GitHub user floodedcodeboy on the ‘Issues’ section of the Gaffer page. Other GitHub users were not so bothered by the fact Britain’s listening post is behind the database. “Meh. I say thanks for the code,” one wrote. 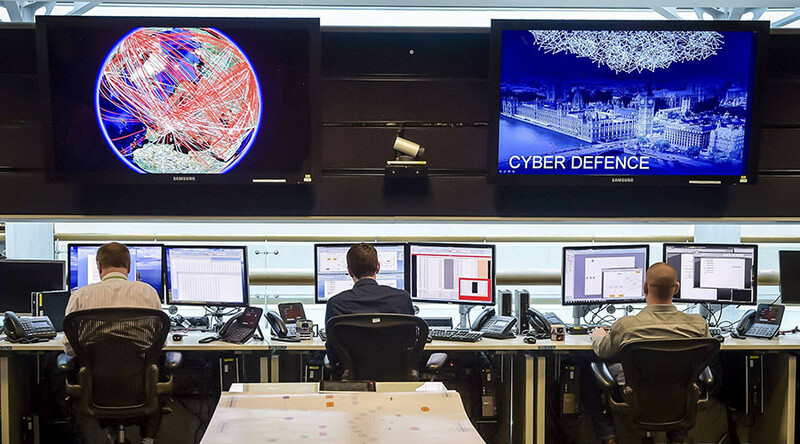 Some speculate Gaffer may be a covert way to attract hackers, as GCHQ and other British intelligence agencies announced in November they are recruiting an extra 1,900 staff. The spy agency has already gained attention this month for the ‘Christmas card’ codebreaking challenge it published in the Telegraph newspaper last week. GCHQ Director Robert Hannigan has given players until the end of January to complete the brain-teaser, which resembles a highly sophisticated crossword.